Every part of the world has its legends, whether they're elves, djinns, or green-suited little bearded men perched at the end of rainbows. In the United States and Canada, our local mythological figure is a bipedal, hairy primate that goes by the strange name "Bigfoot." When the big ol' ape isn't tromping around the woods with his size 30-something feet, he's getting his picture snapped by photographers, having his language secretly recorded, or starring in beef jerky commercials. For as long as human beings have looked into the forest's shadows, they've speculated about whether Bigfoot is out there. 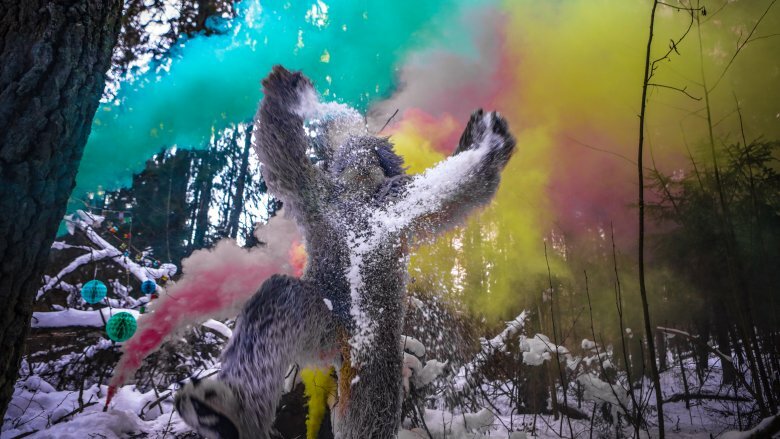 Whether these creatures are real or not, people have been telling stories about Bigfoot encounters for centuries, across many cultures and regions, to the point where even the most fervent disbeliever has to at least raise an eyebrow. Either way, Bigfoot is one of North America's greatest icons. Here's the true story about how this big-soled gorilla-man became a big deal. If Bigfoot is real, he didn't just traipse into the country sometime after the U.S. constitution was signed. One of the most fascinating parts of Bigfoot mythology is the fact that a tall, hairy, man-like figure plays a key role in the mythologies of numerous North American indigenous peoples, according to Native Languages. For example, the Sioux believed in a powerful, burly figure they called Chiye-Tanka, or "Big Elder Brother." The Cheynne tribe told tales of an aloof "Hairy Man" named "Maxemista," who may have played a key role in their creation story. Even the now-familiar term "sasquatch" is merely an Anglicization of the more Halkomelem name, "Sasq'ets." Different tribes each had their own take on the Bigfoot figure, but for the most part, very few saw the creature as being monstrous, aggressive, or evil. Rather, as described by Indian Country Today, Bigfoot's place in many tribal mythologies was that of a gentle guardian, a protector, a "Keeper of the Earth." Over the centuries, as the Bigfoot legend has grown, the Oregon Historical Society states that Native Americans in Oregon have increasingly come to see Bigfoot as an important piece of their culture with great significance to their history. As we know today, North America was fated to become the landing dock of countless European settlers. From the 1600s onward, these Europeans experienced their own alleged Bigfoot encounters, though the colonizers found the creatures a lot scarier than the native peoples usually did. 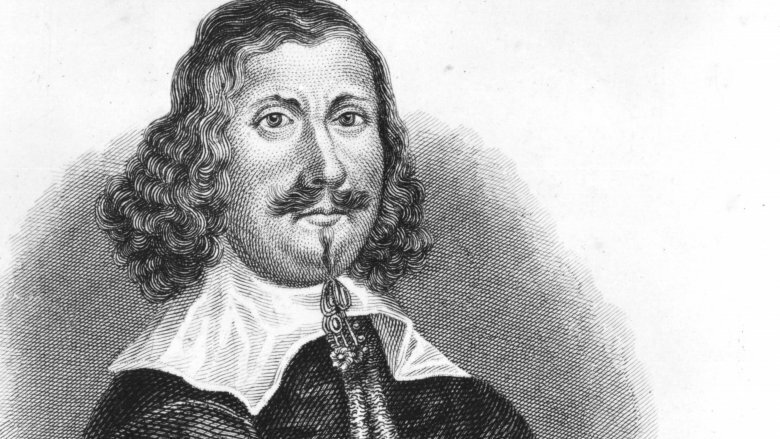 One of the more popular historical writings among cryptozoology aficionados is a 1604 passage from French navigator Samuel de Champlain, who ominously described a "frightful monster, which the savages call Gougou." Though Champlain said Gougou was an enormous, feminine beast that devoured human beings and made horrible noises, his description was vague enough that, reading it today, Gougou could've been anything from Bigfoot to a swamp monster. Champlain decided that Gougou was an unholy devil of some sort, because … well, that's what Europeans said about every weird phenomenon back then. As the New World was increasingly colonized, reports of encounters with more distinctly Bigfoot-like creatures continued trickling in. 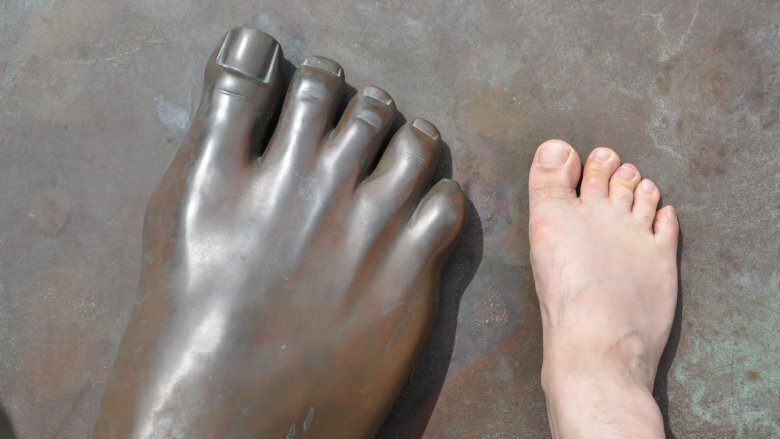 In 1811, according to Rolling Stone, explorer David Thompson was hiking through the Rockies when he stumbled upon some seriously massive footprints, which he followed for nearly 100 yards before the trail went cold. One of the biggest stories appeared in the July 1884 edition of a British Columbia newspaper called the Daily Colonist, now archived online. The paper reported the capture of a young, gorilla-like primate called "Jacko." Was Jacko a young Bigfoot, a hoax, a stunt? You decide. Regardless, little Jacko was never reported on again. According to Slate, it was a warm summer night in July 1924, and a group of five miners decided to call it a night in their little homemade cabin, perched up in what is now called "Ape Canyon," a narrow gorge found in the hike up Mount St. Helens in Washington. Allegedly, as the miners tried to get some sleep, a group of crazed, hairy "apemen" came screaming out of the hills and started launching heavy stones at their cabin. The creatures continued railing on the cabin all night, at one point even reaching inside through a gaping hole in the wall and attempting to steal an ax. The whole thing sounds like a real-life Evil Dead, but with Bigfoot instead of deadites. Finally, the assault died down at daybreak, and the miners reemerged from the cabin. One miner, Fred Beck, reported that he saw an apeman standing in the distance, so he shot the creature, sending it tumbling down into the rocks. Years later, Beck went on to propose that the hostile animals he encountered were actually ghostly beings from another reality. On the other hand, many people have speculated that the "apemen" were just a gang of rowdy teenagers. Either way, it sounds like a scary night. As you've probably guessed, this incident is why this particular mountain gorge is now referred to as Ape Canyon. According to Rolling Stone, American ape sightings continued coming in throughout the next few decades. In 1940, a Canadian family reported an 8-foot apeman had come out of the woods and broken into their shed, leaving 16-inch footprints in its wake. Then, on one October morning in Northern California in 1958, workers for the Granite Logging Company found a series of giant footprints — once again, 16 inches long — submerged in the damp bed of one of their newly built roads. 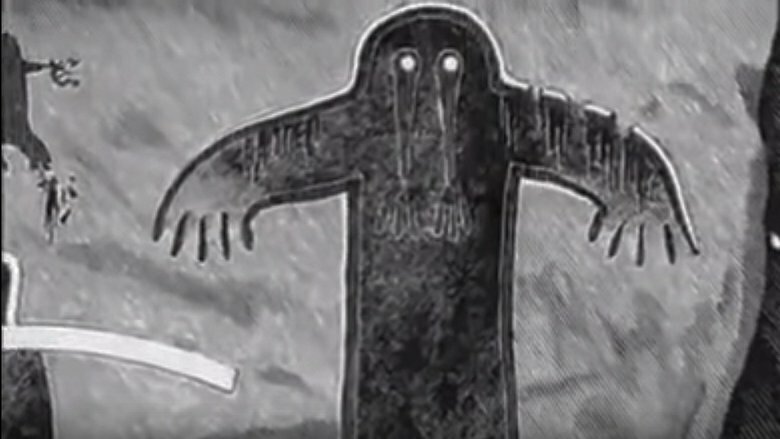 Less than a week later, the workers spotted a creature in the woods that "ran upright like a man, swinging long hairy arms … it looked ten feet tall." They found more footprints the next day. The local Humboldt Times picked up the story, publishing a photo of the megalithic footprint's cast, with journalist Andrew Genzoli lending the unknown creature a name that would soon become legendary: "Bigfoot." The hubbub didn't stop there. At the construction site, footprints kept appearing. Equipment was flipped over. Workers reported feeling like something in the woods was watching them, and the paranoia grew so intense that 15 men quit. When Ray Wallace, a partner in the firm, was accused of perpetrating a hoax, he angrily retorted, "Who knows anyone foolish enough to ruin their own business?" Anyhow, "Bigfoot" became big news. More tracks were discovered up in Washington, and spotting Bigfoot became a tradition as American as apple pie. Ray Wallace made a good argument for why the footprints weren't a hoax (caused by him), but here's the thing. As any good prankster knows, if you get caught, you're left with two options: Give up or double down. Guess what Wallace chose? In 2002, according to the New York Times, Wallace died at age 84. Once Wallace's children finished laying their father to rest, they finally came clean with the greatest joke that their "prank-loving pop" ever pulled on the world. Evidently, the famous "feet" were wood carvings, and Ray had slowly rolled along in a truck to create the massive gait between the tracks. Ray's son Michael told the Times, "It's weird because it was just a joke, and then it took on such a life of its own that even now, we can't stop it." You know, Ray would've pulled it off, too, if it wasn't for his meddling kids. Of course, he did pull it off for over half a century. Vote Ray Wallace for prankster king. So, was this Bigfoot, dubbed "Patty," the real deal? Over five decades later, Patterson's footage has become one of the most studied video clips in history, and it's never been summarily debunked. According to Oregon Public Broadcasting, anatomy professor Jeffery Meldrum strongly believes in the footage, theorizing that when compared to other primate special effects of the time — namely, Planet of the Apes — Patty's anatomical features are much too advanced to be a phony costume. Not everyone is convinced. In 2004, the Charlotte Observer reported that costume designer Philip Morris, then deceased, claimed to have sold a gorilla suit to Roger Patterson. As for the men behind the video, Patterson died of cancer in 1972. Bob Gimlin maintains that the Bigfoot encounter truly happened, and says the decades of interrogation he received because of it "ruined his life." Was the Patterson-Gimlin footage real or fake? We don't know, but either way, it set the stage for Bigfoot mania. Since then, enthusiasm for the hairy one has never really died down. Through the 1970s, after the Patterson-Gimlin footage went '70s viral, the public was bombed with Bigfoot TV specials, magazine articles, tourist traps, and more. Speculation over the creature's possible existence went rampant, a phenomenon that journalist Michael McLeod describes as "the first widely popularized example of pseudoscience in American culture." Bigfoot mania brought about plenty of other Bigfoot sightings, photos, and footprints. Who doesn't have at least one family member or friend who claims to have spotted Bigfoot in the woods? In the latter half of the 20th century, Bigfoot grew into one of North America's most potent cultural icons. 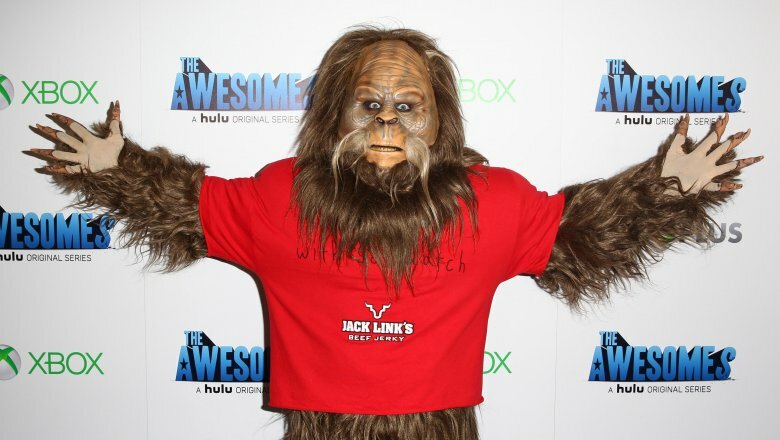 The wild apeman starred alongside John Lithgow in the 1987 film Harry and the Hendersons, is the focus of the Animal Planet series Finding Bigfoot, has a publishing company named after it, and became the mascot of Jack Link's beef jerky. Quickly being co-opted into pop culture and marketing? Now that's American. Despite the work of such organizations such as North America Bigfoot Search (NABS) and the Bigfoot Field Researchers Organization (BFRO), definitive proof of Bigfoot hasn't yet manifested. All the hair samples have ended up being bears, the bodies aren't real, Bigfoot feces never turns up in Old Man Jenkins' cow pasture — none of that. If sasquatches are real, the creatures cover their tracks really, really well. However, if Ron Morehead and Al Berry are to believed, we might have an idea of what Bigfoot sounds like. According to Scientific American, Morehead and Berry say they captured the so-called "Sierra Sounds" by dangling a microphone over a tree in the Sierra Nevada Mountains. Though the "language" in the recordings is interesting and is broadcast in many Bigfoot TV specials, such human-sounding noises could also be a relatively easy hoax, so the Bigfoot community isn't exactly united in the call of the Bigfoot. On the other hand, what if Bigfoot speaks without ever moving its mouth? There are some who believe Bigfoot possesses telepathic powers, but we won't delve into that. It's probably better to prove these creatures exist in the first place before we get all X-Men about it. Whoa, there's a Bigfoot in my freezer! In 2008, according to CNN, two hikers named Rick Dyer and Matthew Whitton announced that they'd found the dead body of a nearly 8-foot "half-ape, half-human" in the Georgia wilderness. They brought the "carcass" home, stuffed it in a freezer, and shared photos online, hoping to make money from the marketing and promotion rights. The deception was short-lived. Testing soon proved that the "carcass" was just a rubber costume, and the duo publicly apologized. However, Rick Dyer's Bigfoot fakery days were far from over. 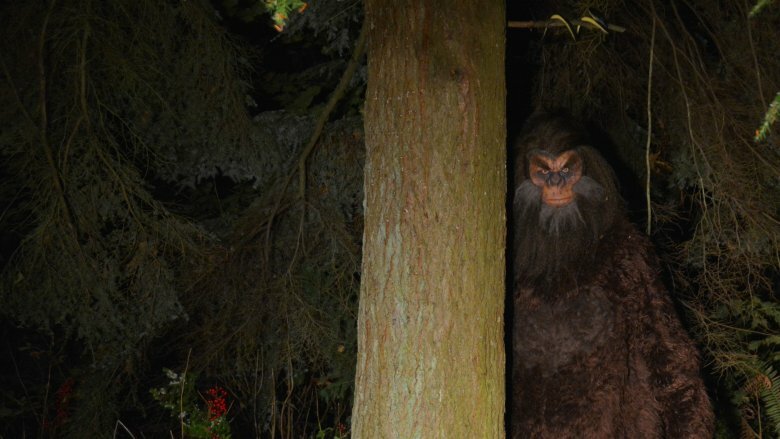 According to the Huffington Post, the Georgian man hit Bigfoot headlines again in 2012 when he claimed to have killed a Bigfoot in Texas, whom he then named "Hank." Dyer also claimed that tests run by a "university" (cough, cough) had proven that the corpse belonged to a previously unknown species. Dyer wanted to take the dead Bigfoot on a national tour and charge admission for anyone who wanted to see Hank. C'mon, what is this, the 1800s? Not surprisingly, Dyer's efforts flopped again. In 2014, Dyer's second phony Bigfoot was outed to the public, and he re-apologized. Only time will tell if Dyer attempts the same stunt again in a few years. As the years go on, Bigfoot evidence gets weirder and weirder. In 2012, a veterinarian named Melba S. Ketchum brought Bigfoot back into the headlines, according to Live Science. Ketchum, citing prior experience in genetics research, claimed that after analyzing 100 DNA samples, she had uncovered genetic proof that sasquatch was real. Not only that, but Ketchum also determined that the cryptid's humanoid features were because an earlier species of primate had mated with Homo sapiens about 15,000 years ago, resulting in the Bigfoot we (sort of) know today. 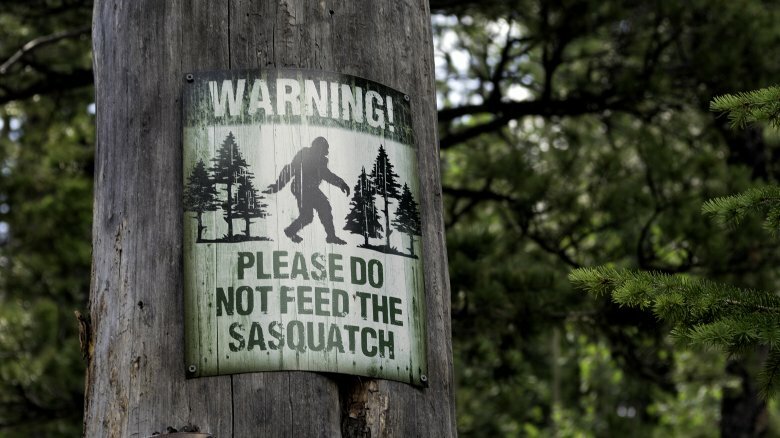 Ketchum argued fiercely on behalf of her work, even asking the U.S. government to recognize Bigfoot as "an indigenous people and immediately protect their human and constitutional rights," against potential hunters. But then, the Houston Chronicle's Eric Berger took a closer look and found some holes. In addition to discovering Ketchum had self-published her work rather than sending it to a reputable scientific journal, Berger also had Ketchum's evidence tested by a distinguished geneticist in Texas, who wasn't impressed with the results. Berger admitted to feeling let down about the whole thing, saying, "I'm honestly really disappointed. A world with Bigfoot would be a little softer. A little more fun. But in my world science is the arbiter of reality." Nonetheless, Dr. Ketchum's efforts on the "Sasquatch Genome Project" continue to this day, and she still posts updates on Facebook. Bigfoot isn't the only apeman myth in the world ... but maybe it's because of us? 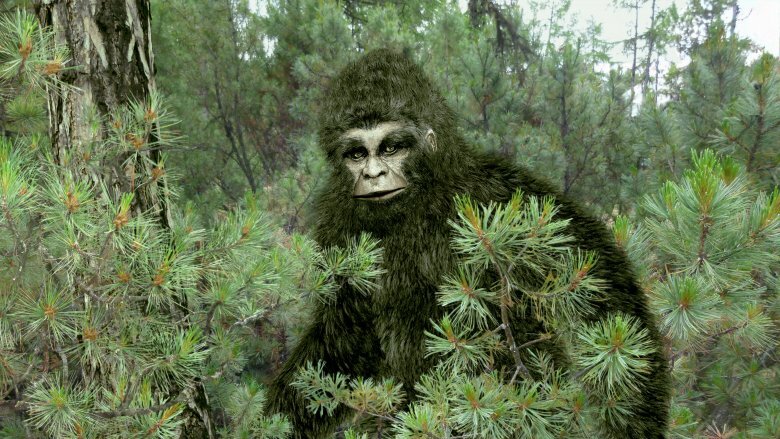 Legends of wild apemen are prevalent in cultures all over the globe, whether it's North America's Bigfoot, the Yeti that prowls the Himalayas, or Australia's Yowie. What is it that makes these half-man, half-apes so popular? Writing for The Atlantic, Edward Simon ponders if, perhaps, the widespread obsession with Bigfoot is due to a human fascination with the wilderness from which we came. 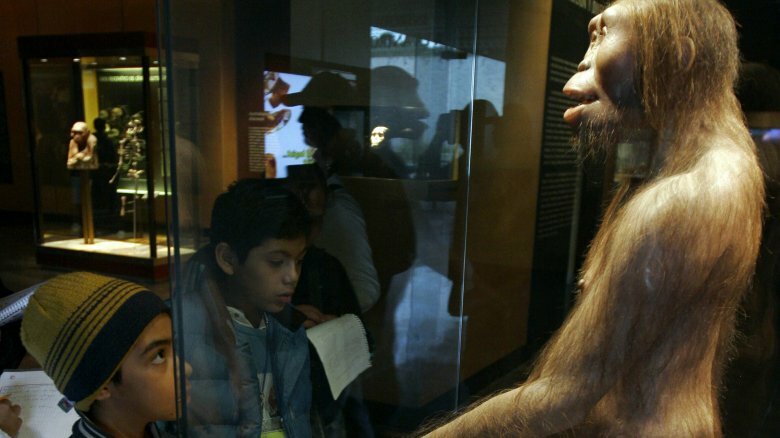 A creature that is so similar to human beings, yet still so wild and free, piques our imagination — and makes us wonder, deep inside, if we're really so evolved from our prehistoric ancestors. Perhaps Bigfoot hearkens back to the ancient concept of an uncorrupted man — call him Adam, call him sasquatch, call him whatever — whose soul has not been torn asunder by the sins of humankind. Of course, the truth might be simpler: A world with Bigfoot is way more exciting than a world where Bigfoot doesn't exist. Famous chimpanzee researcher Jane Goodall once made the surprising confession to NPR that she believed in Bigfoot, but said, "Well, I'm a romantic, so I always wanted that." In this one line, Goodall captures the central truth of why, when it comes to Bigfoot, hope springs eternal. So for now, maybe we should just enjoy the myth, keep our eyes on the woods, and have fun telling stories to each other.